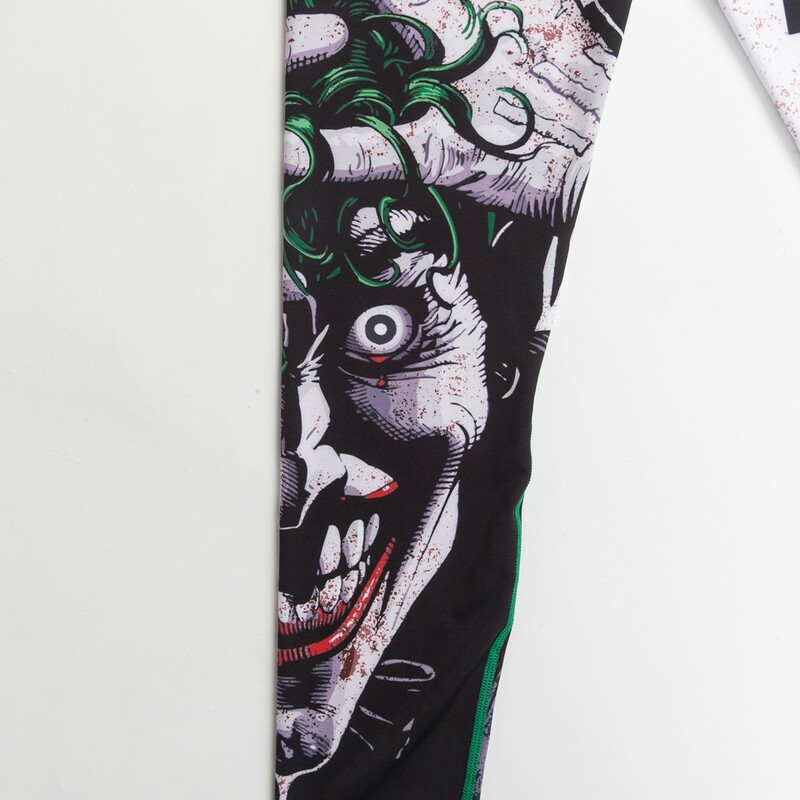 These killer (pun intended) officially licensed Batman BJJ spats are based on the classic 1988 DC Comics graphic novel "Batman The Killing Joke", written by Allan Moore, and illustrated by Brian Bolland. Many super nerds like ourselves consider it to be best Joker story ever written, and one of the best Batman comics of all time. It tells the tragic tale of the Joker's origin, and shows the reader just what a nut-ball he really is. 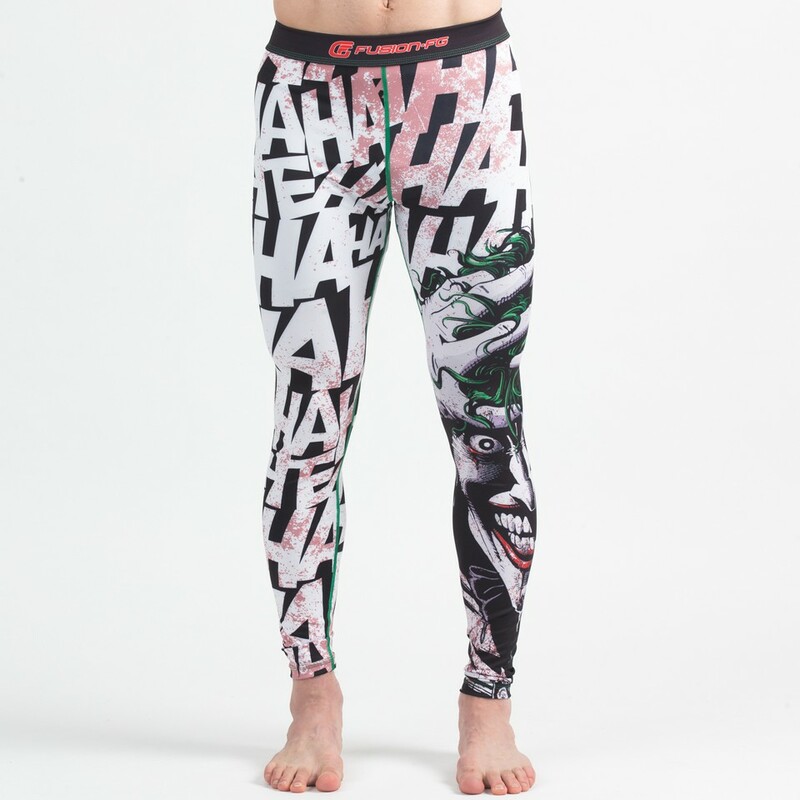 The photo on the grappling spats is taken right from the comic, and is of a crazed Joker after he emerges from a chemical waste bath. Not good times. 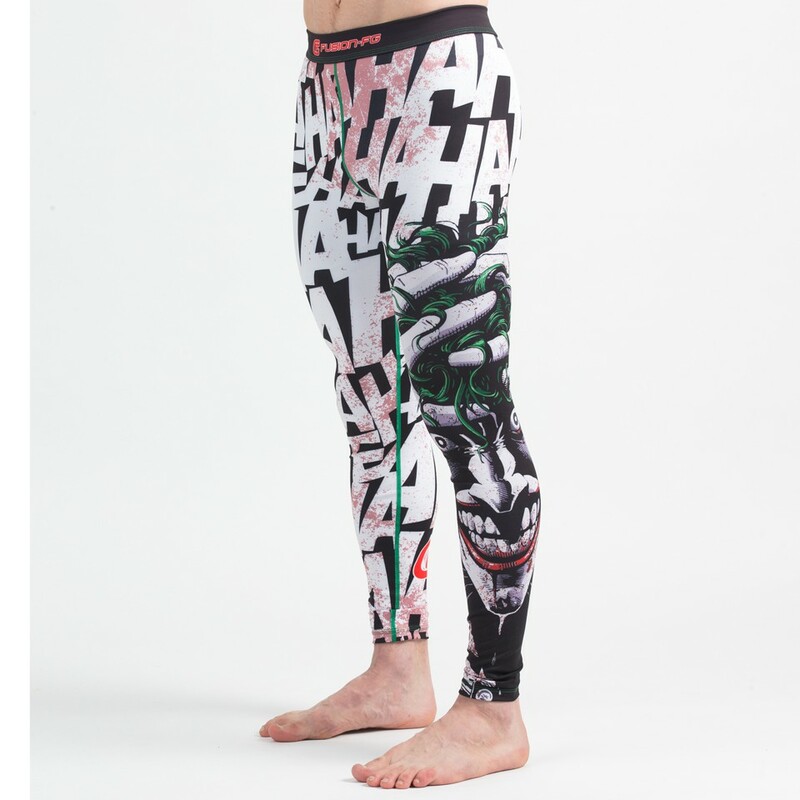 Perfect for repelling nasty bacteria, these officially licensed Batman MMA/ grappling leggings have a tight compression fit and make it tough for your opponent to grab you. They are also great for wicking moisture away from the body, and will dry very quickly. 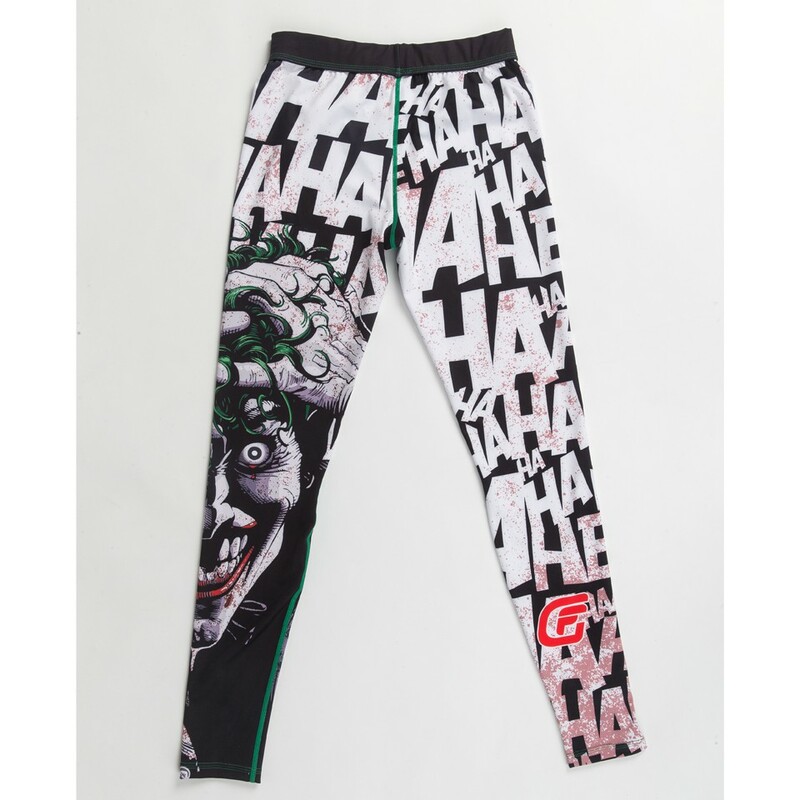 They can be worn under a pair of shorts for no-gi grappling, or better yet just by themselves. 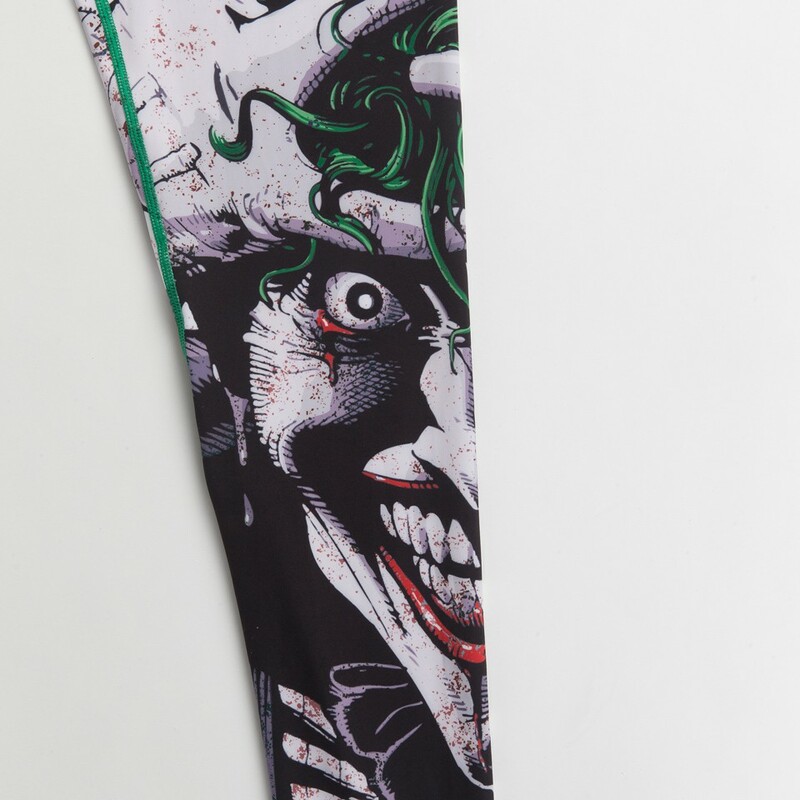 It would really be a shame to cover up the Joker's pretty face. High quality flatlock stitching makes them great for resisting even the toughest wear and tear. They’ve been printed with a sublimation process meaning that the design will never crack or peel off. The material is a high-end 88% polyester, 12% spandex blend. The spandex content creates more elasticity and results in a more comfortable, contoured fit that hugs your body and makes you tough to grab.